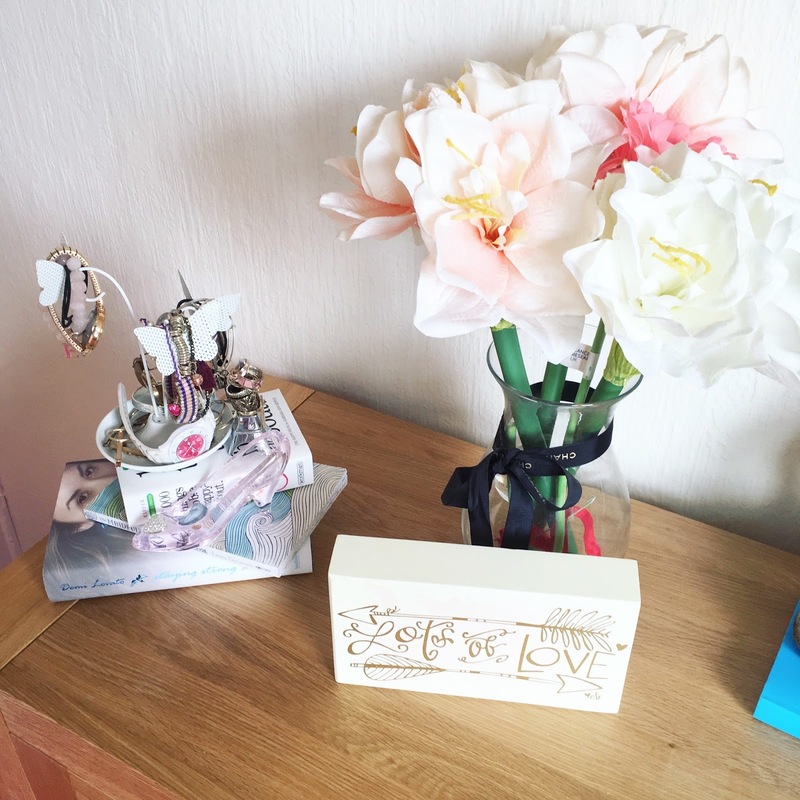 Hello Summer 2016, the time has come again to update my dresser to something more summery! 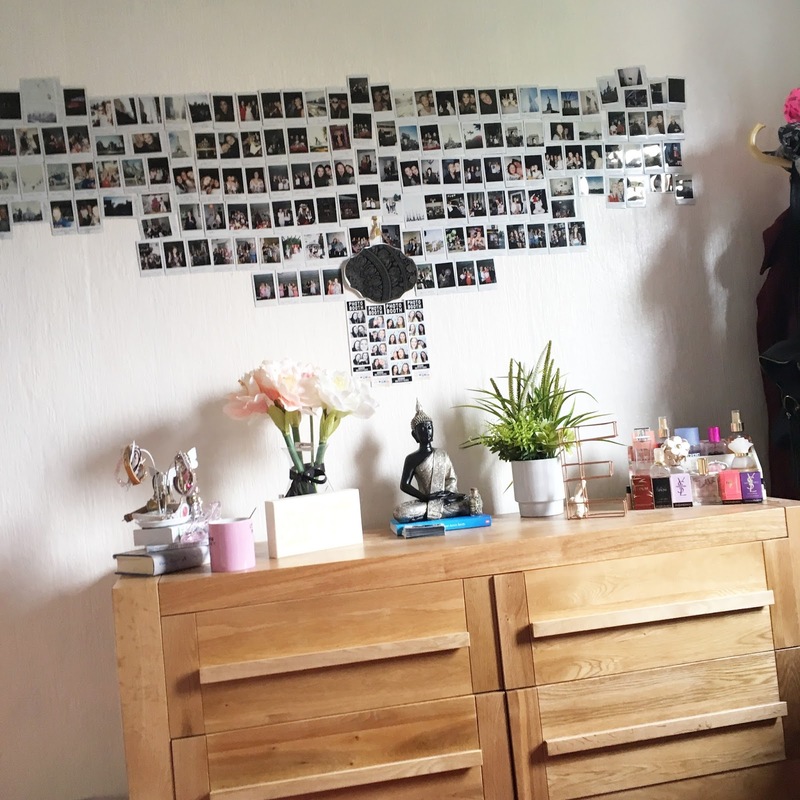 I posted a Summer Dresser tour last August and I really liked how it turned out so after getting my dresser how I want it I thought I would do an updated 2016 version! It has taken me several attempts to get all my polaroids the way I like them, but I think I finally love how they look! Although some parts are squint, I think it adds to the vibe I wanted to go for. They all are actually in date order of when I took them, bottom 2014 all the way to March 2016. I have still to put my Malta Polaroids up! The books I kept on my dresser are actually just to add height! 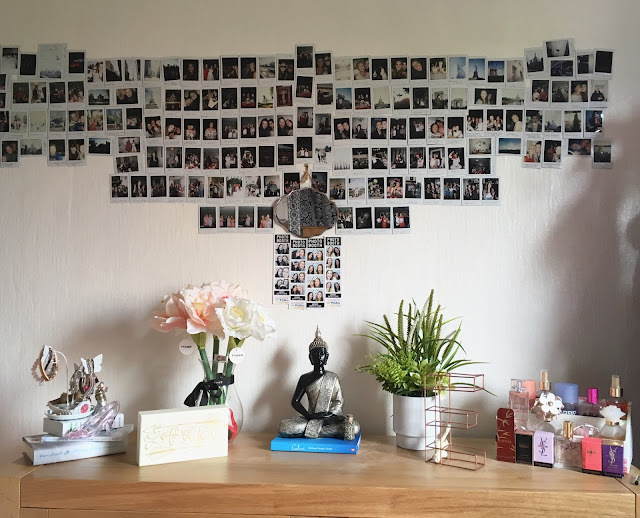 I have filled up this cute jewellery stand with all my favourite pieces I wear everyday! Again I filled this with my favourite rings, I just think this is the cutest thing ever! I adore after this slipper on my dresser, I got it for my 16th Birthday and I just love it! Artificial Flowers are just so easy to maintain, there is no effort and yet the look so pretty! I wanted to add a few new pieces of decor in my room so after going through a big boho obsessed I bought this buddha! I think it works great in my room! I actually added this for height and to add to the decor but I have replaced it and Im going to start reading this book! I actually found this in my room and I thought that it would go with the theme, It was bought at a mining museum when I was younger. Checking PInterest for inspiration for my room I was always seeing plants, so I bought these to brighten my room! This HAS to make a comeback, it is probably my favourite thing on my dresser! My friend Rowan actually brought me this back from Thailand so I have to feature it in my post! I actually bought this a while back when my room was all Cath Kinston, its great to keep my all my perfume in, to keep it nice and tidy! Bottam has my mini YSL perfume and my Zoella Sweet Inspirations Body Mist! This time I have went with a more simple approach than last year, any questions just ask?